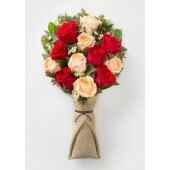 Red Roses usually come from Kenya, United States, Netherlands, China and India etc. 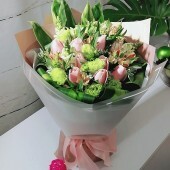 Roses is the most common flowers for the gift purpose as our company have many different types of fresh roses which arrival from the oversea everyday for people to order in the same day. 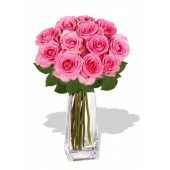 Send Roses are generally suitable for birthday, wedding, anniversary, concerts or other occasions. 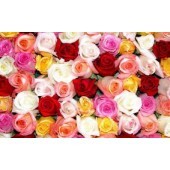 There have different color options can choose of Roses such as red, yellow, pink, white, orange, purple, champagne, blue and black. 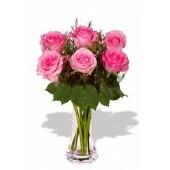 Roses bouquet normally can be kept between 5 to 7 days at the room temperature. If you want the flowers to be last more longer, please remember replace the water of the vase everyday and add a little fresh flower preservative, so the roses can be more brilliant and lasting. Purple Roses for Someone Special to you, Purple is special, much better than Red or Pink Flowers..
12 Memorable Red Roses Bouquet ..